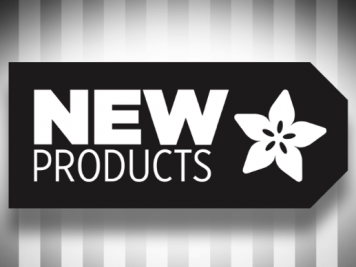 New Products 8/8/2018 Featuring Adafruit 1.8″ Color #TFT #Shield! 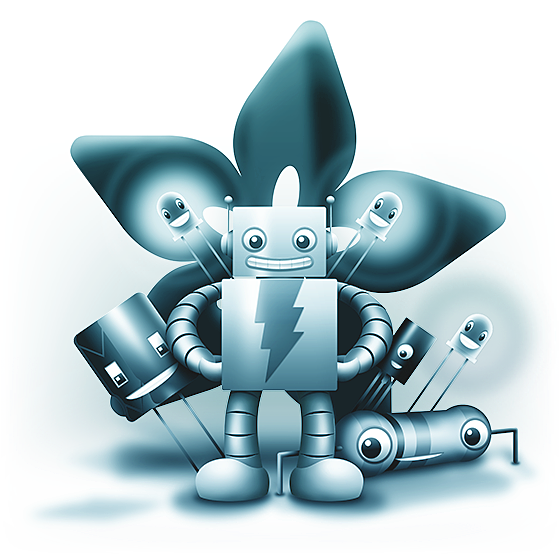 @adafruit #adafruit #newproducts « Adafruit Industries – Makers, hackers, artists, designers and engineers! Adafruit Pi Protector for Raspberry Pi Model B+ / Pi 2 / Pi 3 B+: You’ve seen the A+ pocket protector – cometh the hour for the full size Pi version. Introducing PaintYourDragon’s last-cut masterpiece part ii: Adafruit Pi Protector for Raspberry Pi! 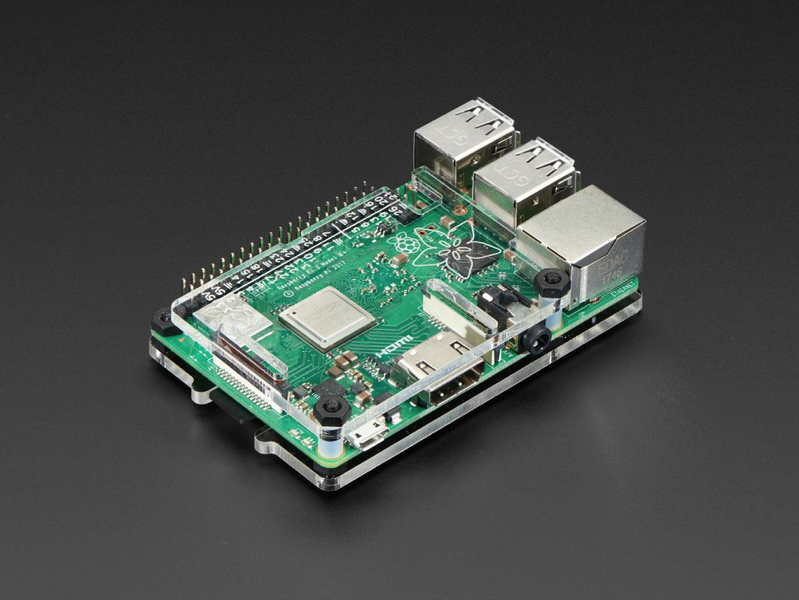 It’s not quite a full case, however it will keep your Pi B+ safe and svelte. 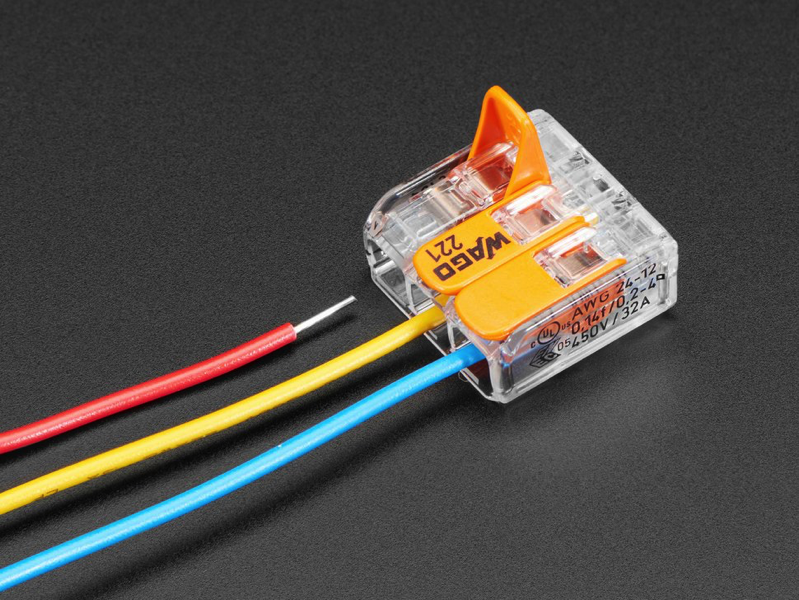 Snap-action 3-Wire Block Connector (12-28 AWG) – Pack of 3: These are like the fancy electronics equivalent of the wire nuts electricians use to bind wires together. They are a lot easier to use as well! Each block connector has a metal block inside and three levers that snap open and close to bind stranded/solid-core wire. No screwdrivers required! They’re super handy for free wiring and can handle up to 20A at 300V with UL listing so you can also use them for mains wiring. Use any wires from 12 AWG down to 28 AWG. 3-Bladed Trifoil Propeller Fan for DC Motor: Sprockets, wheels, and gears, oh my! 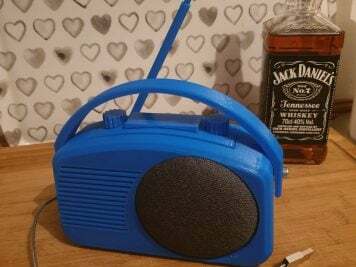 We really like our DC hobby motors but unless you have a 3D printer it can be a challenge to get fun add-ons. 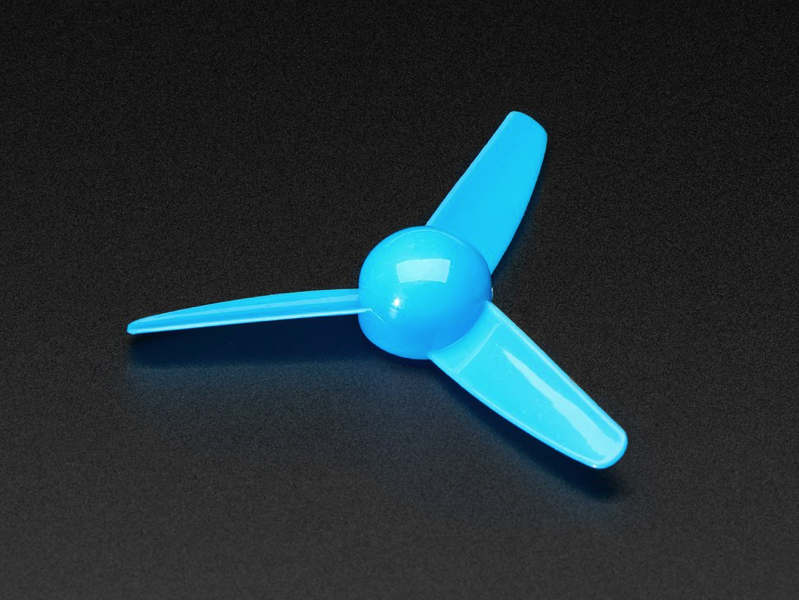 That’s why we’ve got this 3-Bladed Tri-foil Propeller – it snaps on like a breeze (pun intended!) perfect for making a fan, blowing bubbles, or propelling something through the air. Paddle Wheel Pack for TT Gearbox Motor: Need a great drive solution or a pop of color for your little robotic friends? 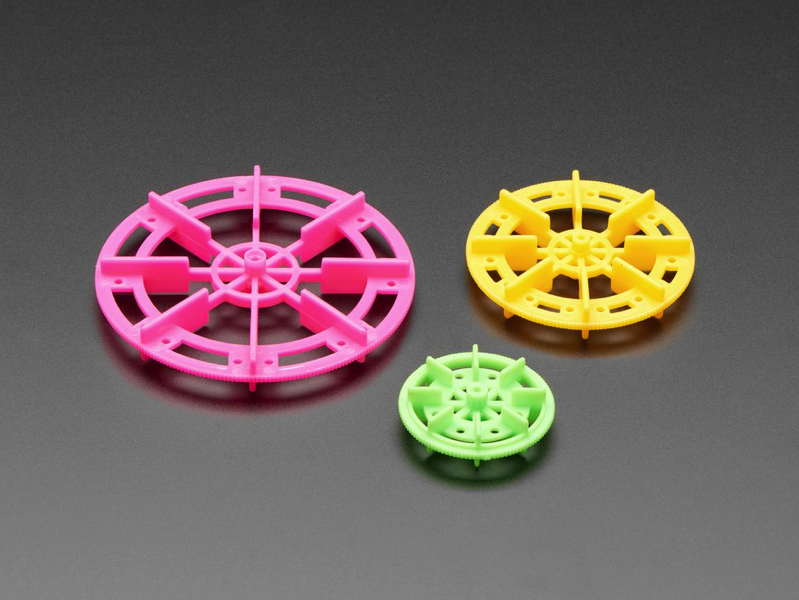 This TT Motor Paddle Wheel Pack offers 3 fun, candy-colored wheels with a press-fit design to make connecting super quick and easy. While they seem to be designed for some sort of water-wheel configuration, we like them because they fit securely on TT motor axles and provide a ton of simple attachment points. Use hot glue, strong tape, or zip ties to attach whatever you wish. 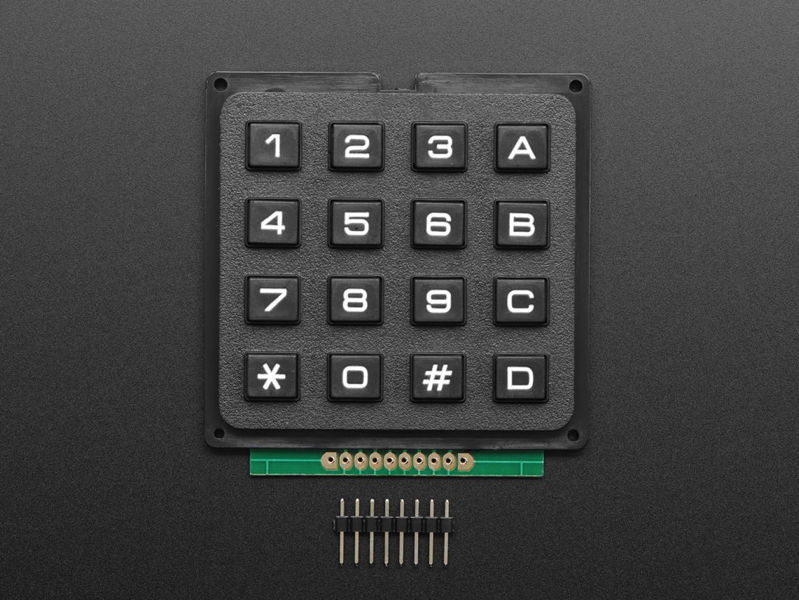 3×4 Matrix Keypad: Punch in your secret key (or Jenny’s number) into this numeric matrix keypad. This keypad has 12 buttons, arranged in a telephone-line 3×4 grid. The keys are connected into a matrix, so you only need 7 microcontroller pins (3-columns and 4-rows) to scan through the pad. Check the tutorials tab for links to an Arduino library and example code. 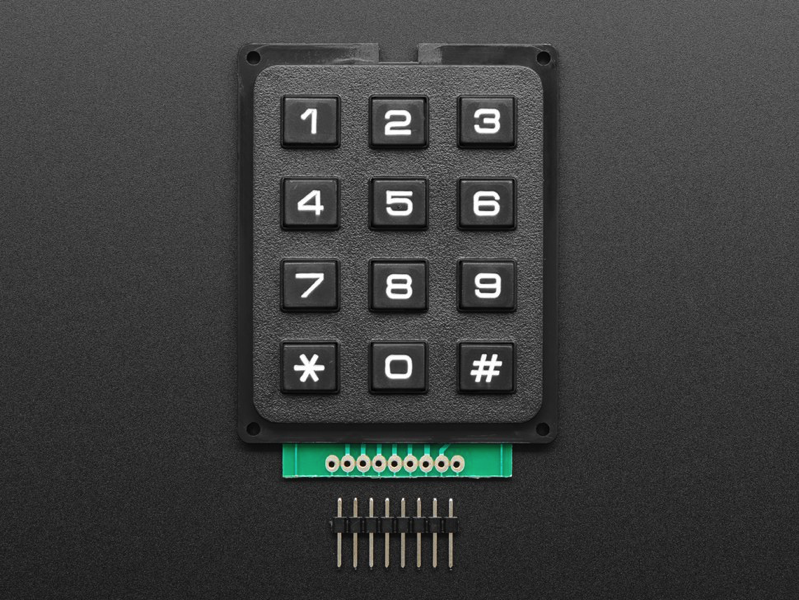 4×4 Matrix Keypad: Punch in your secret key (or Jenny’s number) into this numeric matrix keypad. This keypad has 16 buttons, arranged in a telephone-line 4×4 grid. The keys are connected into a matrix, so you only need 8 microcontroller pins (4-columns and 4-rows) to scan through the pad. Check the tutorials tab for links to an Arduino library and example code. Love To Code Chibi Scope: What is this adorable little data dumpling? The millennial answer to Tamagotchi? 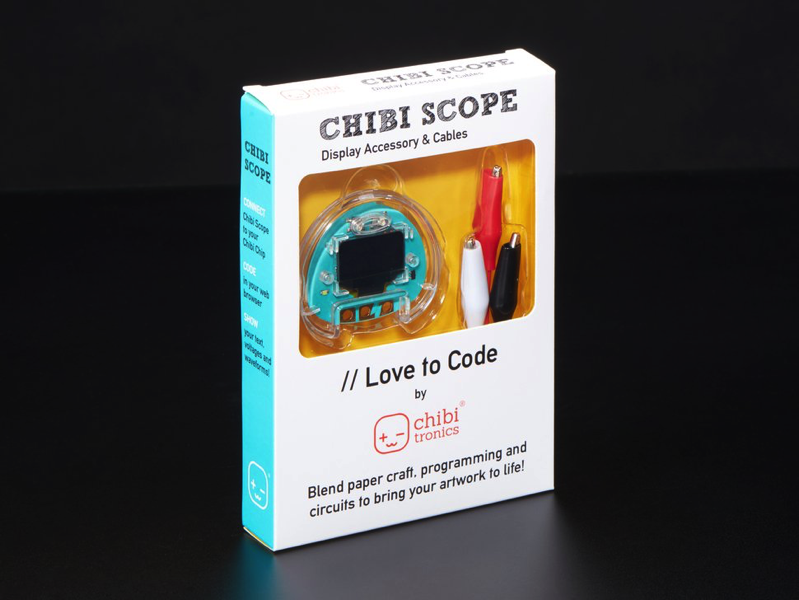 Nay, it is the Chibi Scope, the perfect companion to your Chibi Chip or, heck, any project where you want a portable way to view waveforms or ASCII text. 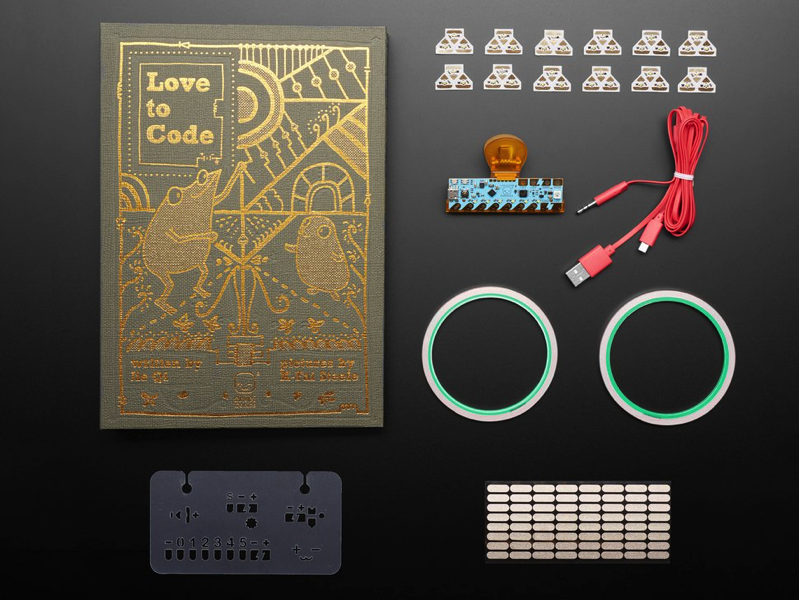 Love to Code Creative Coding Kit – Chibi Starting Kit: Interested in coding, but overwhelmed where to start? Looking to add cute, blinky LEDs to a paper craft project? 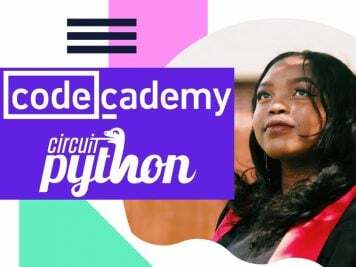 The Love to Code (LTC) system from Chibitronics is designed for beginners of all ages and backgrounds to try out programming without the frustration of installing software. 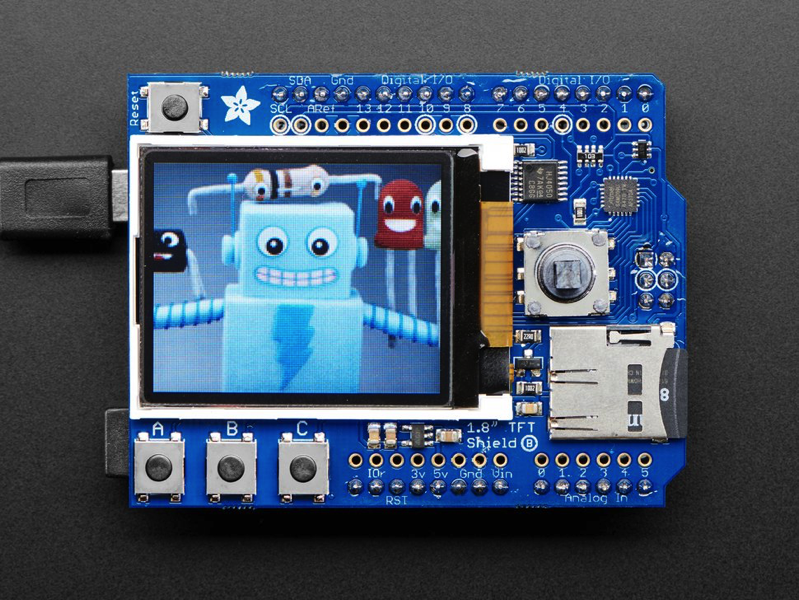 Adafruit 1.8″ Color TFT Shield w/microSD and Joystick – v 2: This lovely little shield is the best way to add a small, colorful and bright display to any project. We took our popular 1.8″ TFT breakout board and remixed it into an Arduino shield complete with microSD card slot and a 5-way joystick navigation switch and three selection buttons! 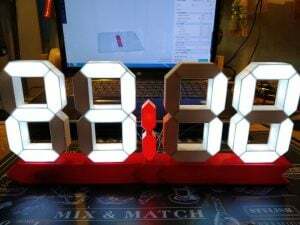 Since the display uses only 4 pins to communicate and has its own pixel-addressable frame buffer, it can be used easily to add a display & interface without exhausting the memory or pins. 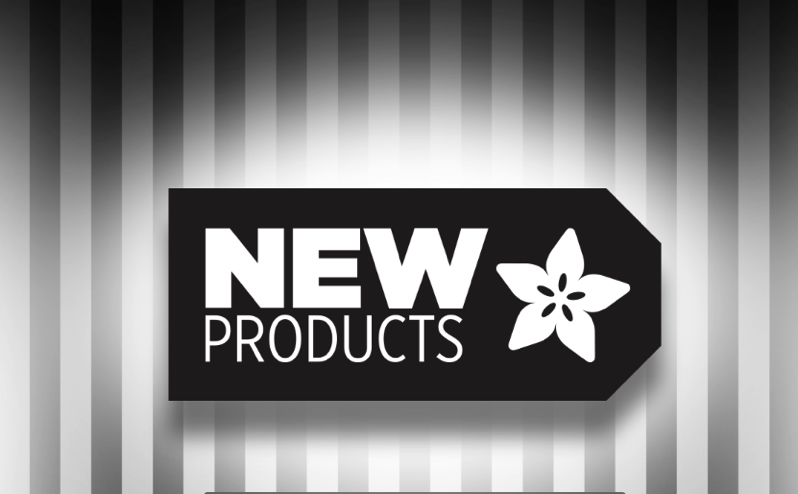 New Products 8/8/2018 Featuring Adafruit 1.8″ Color TFT Shield!